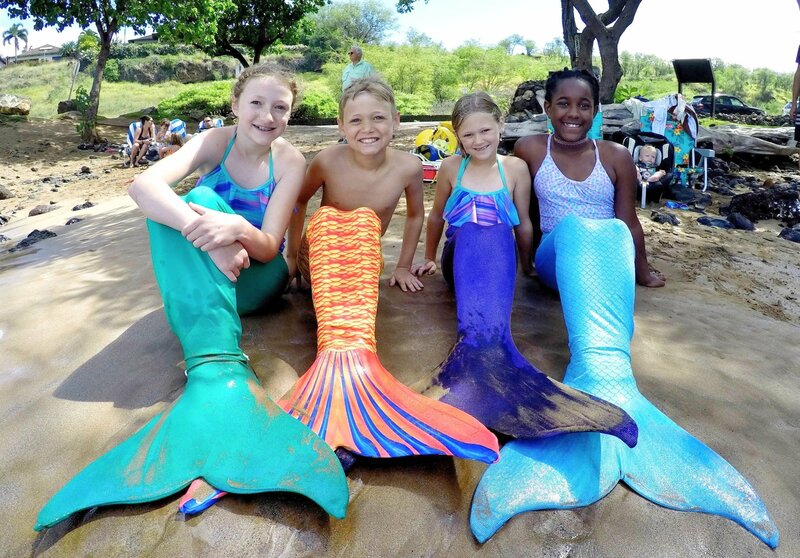 Hawaii Mermaid Adventure on the island of Maui: Fun for the whole family! This post was sponsored by Hawaii Mermaid Adventures. 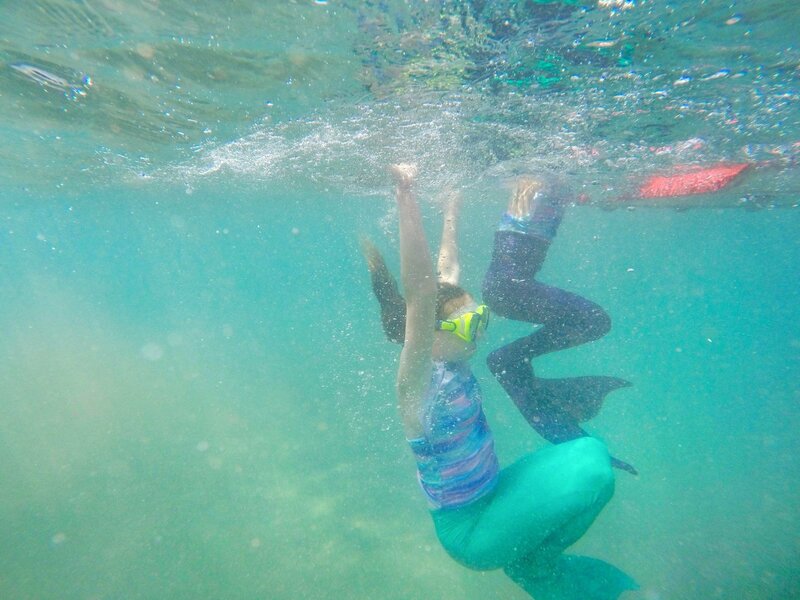 I received mermaid swim lessons in exchange for an honest review. All opinions are my own. 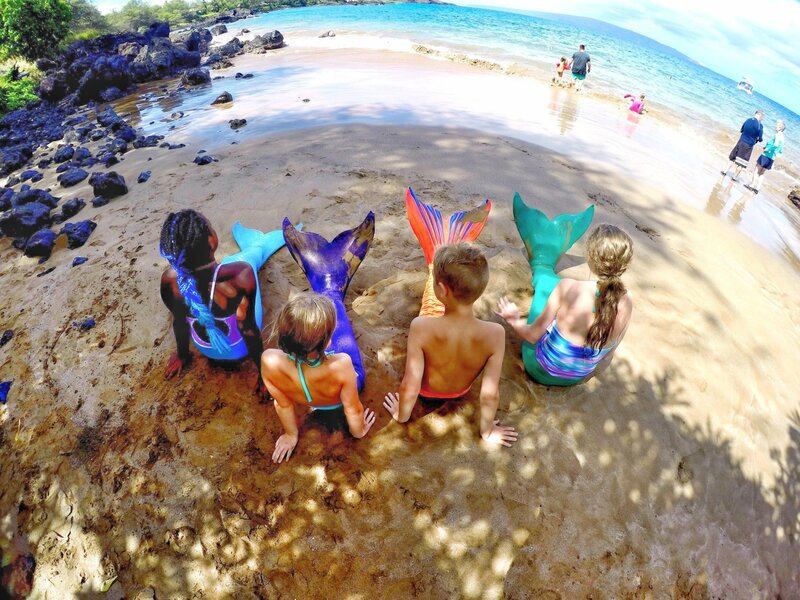 Who wouldn’t want the chance to spend the day as a real life mermaid? 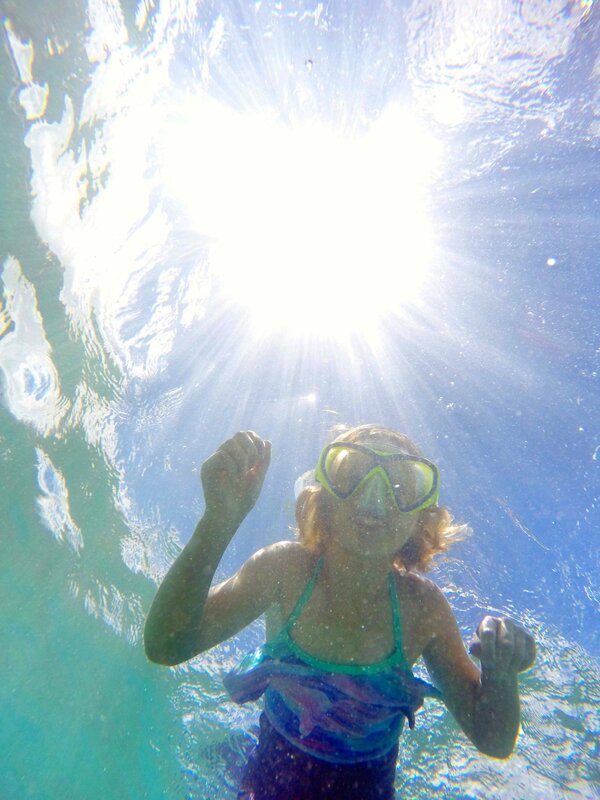 How about a real life mermaid in the beautiful blue waters of Hawaii? 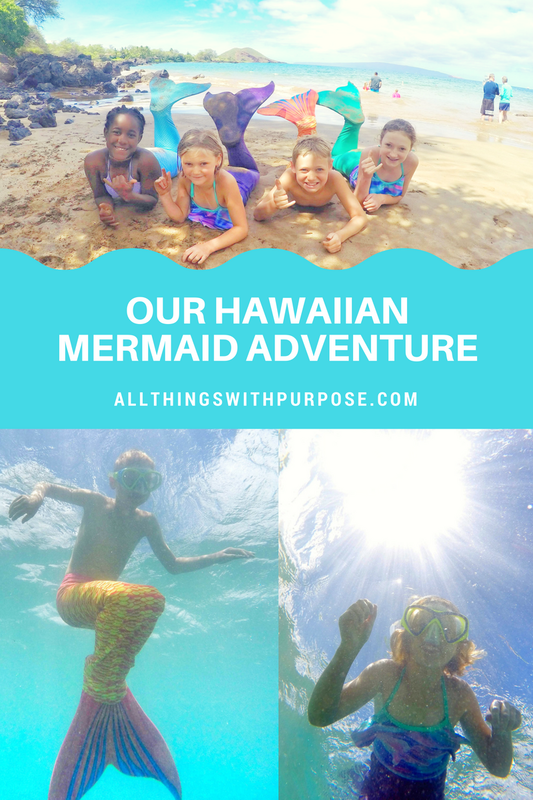 My kids had their mermaid dreams come true with a Mermaid Adventure on Maui! Weather you’re looking for something unique to do while on vacation or a way to take some amazing pictures of a trip you’ll never forget, you might want to consider contacting Hawaii Mermaid Adventures. Adults and kids alike will love it! 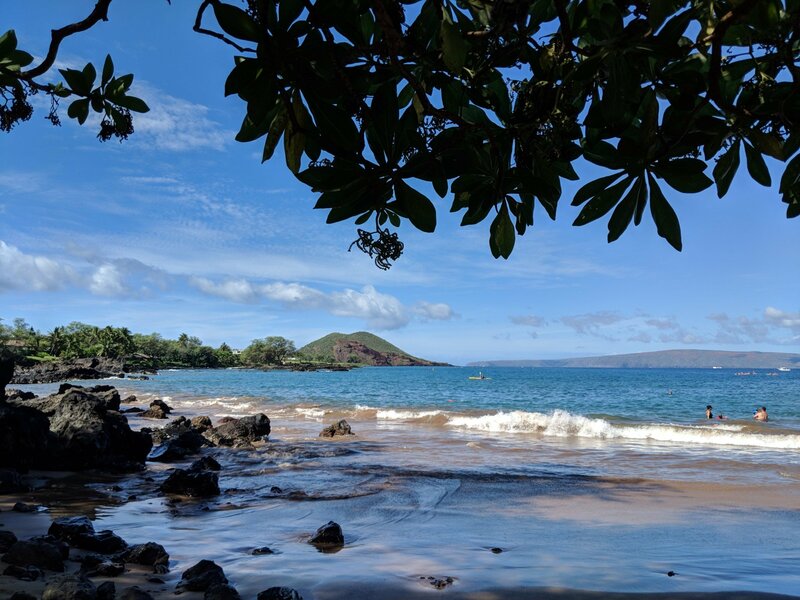 The adventure starts on the shore of Makena Landing Beach Park in Kihei, HI. 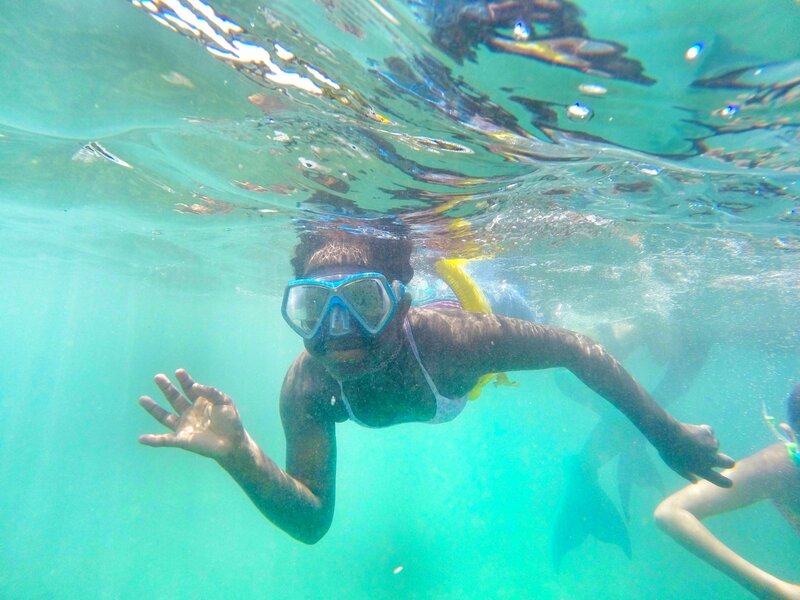 This little beach is kind of a hidden gem to locals and snorkelers. The sandy beach is small and shaded, nestled between large rocky cliffs. There is a very small parking lot with cars that come and go quite regularly. There are restrooms and an outdoor shower available. Our Mermaid Guide, Lila, was great! She has a degree in marine biology, as well as her lifeguard, CPR and scuba certification to name a few. She was very knowledgeable of marine life and ocean safety. The kids loved asking her questions and learning how to protect the coral reefs. We learned about what kinds of sunscreen to avoid and what kind is safe for the reef. 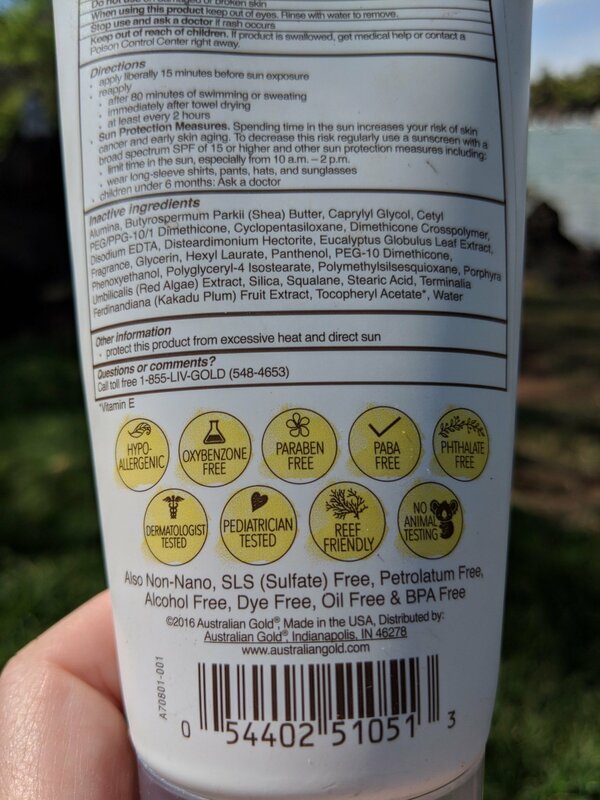 Always look at the ingredients on your sunscreen. 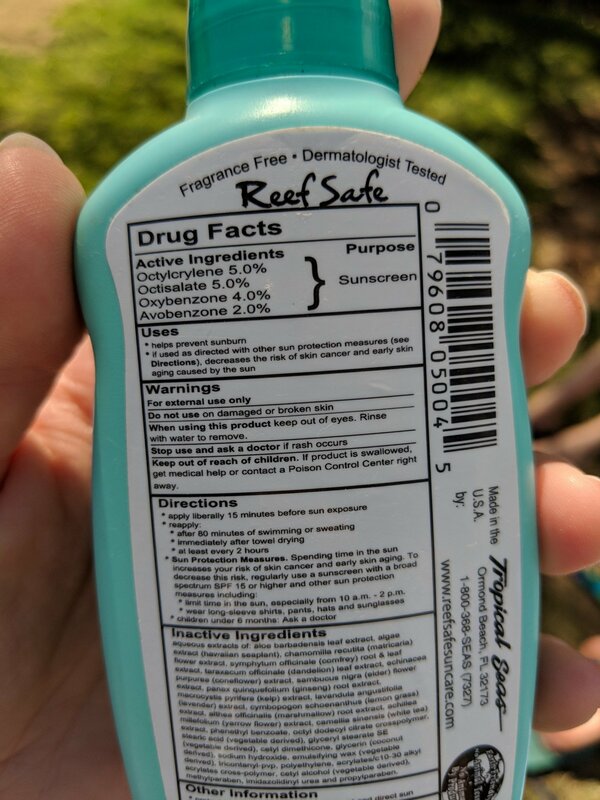 I was shocked to learn that a small drop of sunscreen containing oxybenzone can be very damaging to coral reefs. 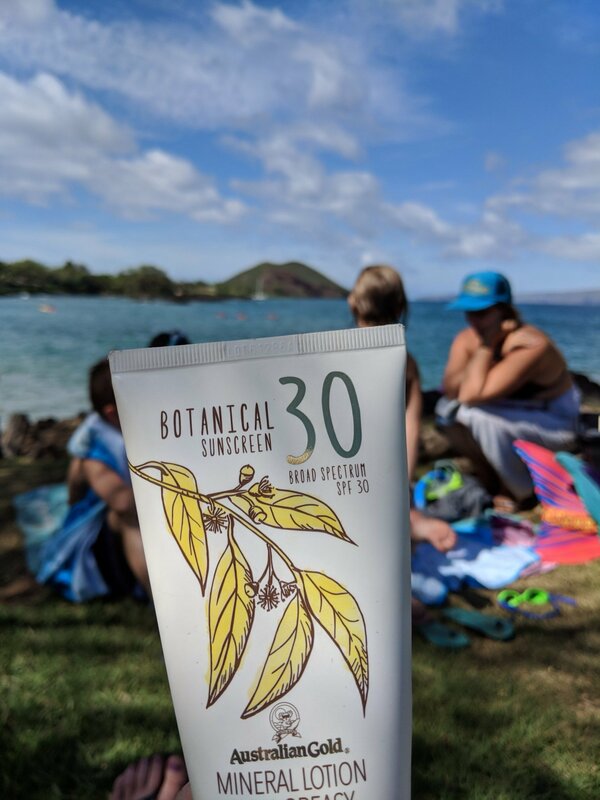 I was even more shocked to learn this type of sunscreen is so readily available here on the island. 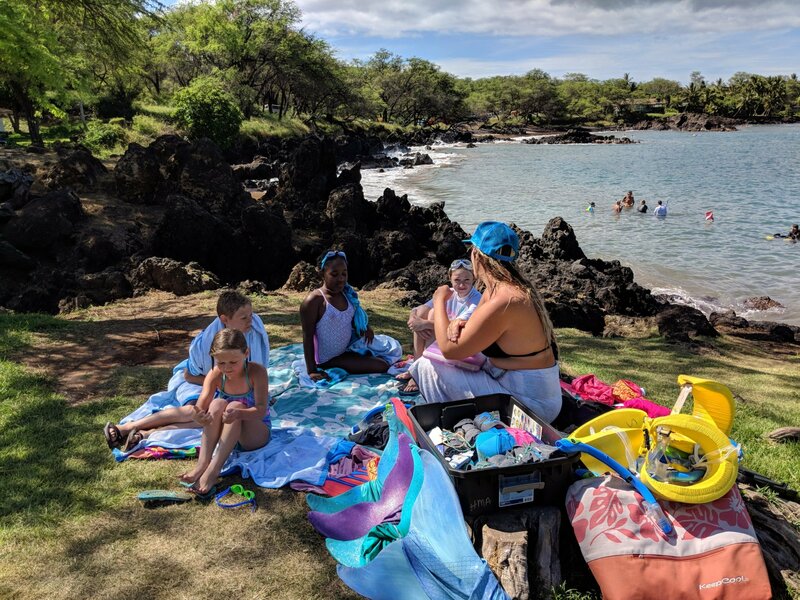 Our Mermaid Instructor came prepared with a small, floating dock, mermaid tails and goggles for each of my kids and floaty belts for them to wear until they were comfortable in the water. Swimmers are advised to bring a towel and change of clothes for afterward. Come in your baiting suite so you’re ready to swim! 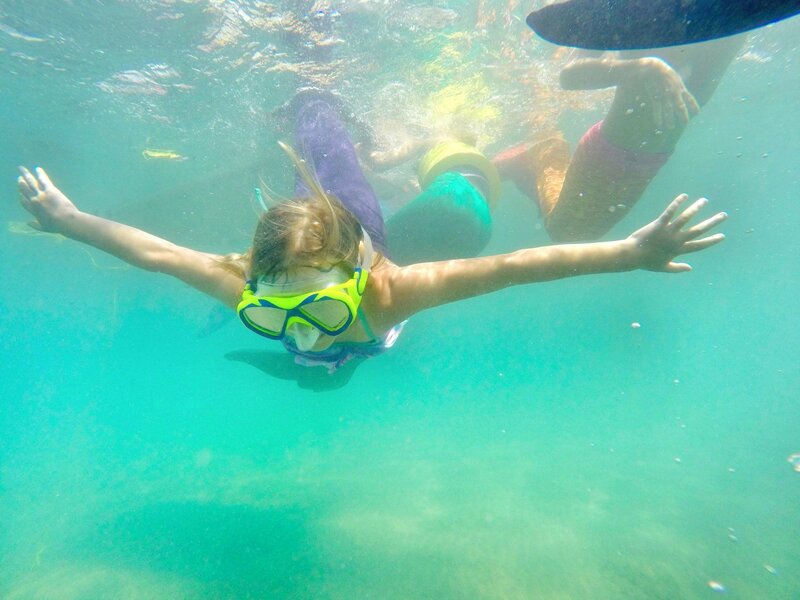 The price of your Mermaid Adventure includes a mermaid photo shoot and some great underwater photos of your little mermaids in action. 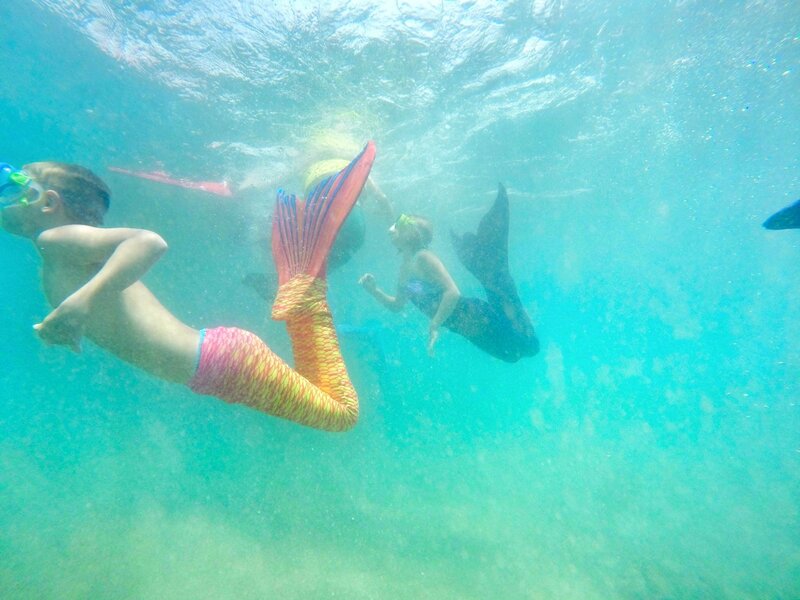 We started with a brief talk about marine safety, took photos in our mermaid tails and then removed the tails to walk out into deeper water. Once in the water, Lila had the kids take turns sitting on her doc to put the tails back on. Afterward, you will have a chance to buy t-shirts, hats and sunscreen. 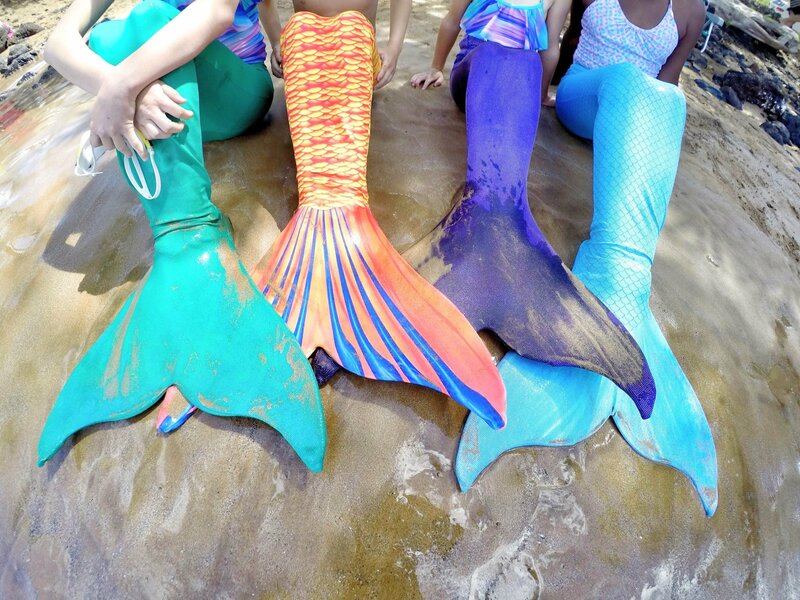 Mermaid tales come in three sizes: 50-90 lbs, 90-150 lbs and 150-220 lbs which makes them great for kids, men and women! My youngest is exactly 50 pounds with a size 1 shoe which put her at the very smallest possible size. Lessons are fun for one person to do alone or with a friend! My 4 kids had a great time together, but each instructor can take a max of 5. 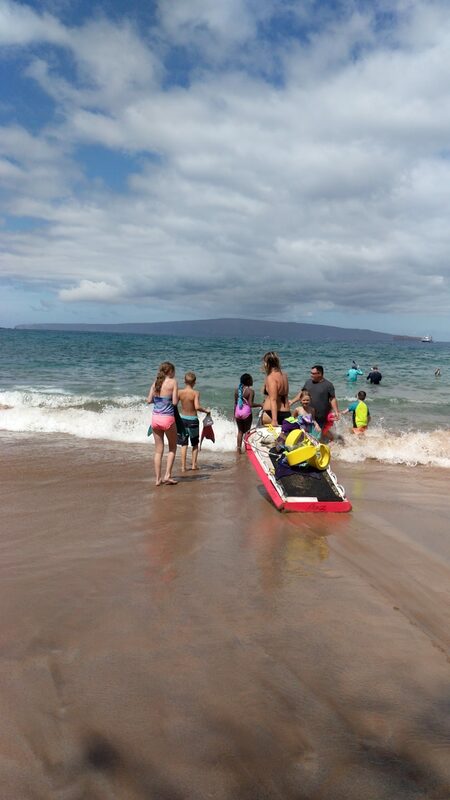 It didn’t take long for my kids to be comfortable removing their floaty belts and swimming free in the ocean. Lila and the dock were always close by and they stayed in water that was around 10′ deep. Once the kids were comfortable, they were able to attempt flips and swim through hoops.